The extent of Manchester United’s desire to sign Real Madrid defender Sergio Ramos has been revealed in reports that they have offered him a mouth-watering contract package. The Red Devils have proposed a five-year contract, worth £39 million after tax, as they attempt to snare the Spain international to Old Trafford. According to the Metro [via the Daily Star], United chiefs are willing to match Ramos’s wage demands as Louis van Gaal looks to reinforce his backline. The Daily Star reported that the Red Devils have already made a £28.6 million bid for the player, and while Real are not keen on seeing one of their prized assets departing, they would offload him if the price is right. However, United appear to have made Ramos their chief defensive transfer target this summer [Telegraph], and it looks like the Red Devils will do everything they can to acquire the World Cup winner. The defender is understood to be keen on a move, having fallen out with Bernabeu chiefs after his request for a new contract was met with a negative response by the club’s officials [Independent]. Ramos has reportedly been taking English lessons in order to facilitate a potential transition to the Premier League [Mirror], while his father is reportedly a United fan [Daily Mail]. The Independent have suggested that Real would not sell for a fee of less than £46.5 million, which, if true, would indicate that United will have to up their offer considerably in order to snare their man. 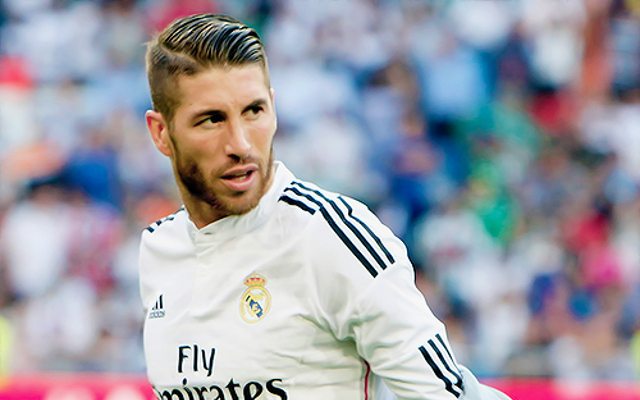 Ramos moved to the Bernabeu in 2005 and has subsequently won three Liga BBVA titles, the Champions League and two Copa del Reys, amongst a host of other honours.